We still have another year to wait yet, before we finally get to see the very last season of the hit HBO fantasy drama series Game of Thrones, and with the show coming to an end we are all looking to what the stars of the show are going to do next. 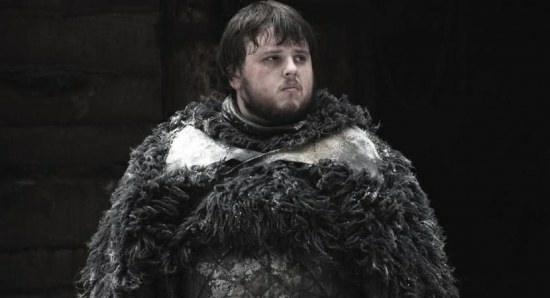 Natalie Dormer has already seen her character killed off from Game of Thrones, while John Bradley is still in the series, but we are going to get to see the two of them sharing the big screen in the near future. We always love it when two people from one of our favourite shows reunite for a new project and we especially love it when it is two of our favourite characters, so we cannot wait to see what John Bradley and Natalie Dormer have to offer us when they appear in the upcoming new movie Patient Zero. We know that there are plenty of you fans out there who are already excited about getting to see this new movie, but if you are one of the ones eager to know more about it, Patient Zero has been described as, "After an unprecedented global pandemic has turned the majority of humankind into violent "Infected," a man gifted with the ability to speak the Infected's new language leads the last survivors on a hunt for Patient Zero and a cure." As well as starring the Game of Thrones duo of Natalie Dormer and John Bradley, the rest of the exciting cast for Patient Zero includes such impressive names as Matt Smith, Stanley Tucci, and Agnyess Deyn, among others. Patient Zero has been directed by Stefan Ruzowitzky, based on the screenplay which has been penned by Mike Le, with the movie expected to hit the big screen some time later in the year.